Adams Home inspection has been in existence since 1994 it is a small family run business with the consumer in mind, we provide affordable & comprehensive Home Inspections & Pest Control Services throughout South Central Texas. With over 30 years of Construction experience we have the knowledge and skills it takes to inform you of the defects that may exist in your home, or commercial building. 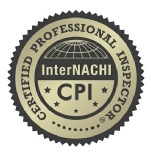 We provide in depth, comprehensive & informative inspections we don not do 45 minute inspections our inspection times range between 2-5 hours. We do not work for the builder or realtor, we work for you and as such will be very thorough in our inspection process.